N.C.P.S. Industrial is a customer orientated company servicing valued industrial and domestic customers Australia wide. Equipped with workshop facilities to service and repair most compressed air and water products as well as providing sales backed with accurate information and advice. Conveniently situated on Main North Road, Para Hills West opposite Parafield Bunnings and only 17Km north of Adelaide’s CBD the company is suitably located for a variety of Adelaide residents and clients. 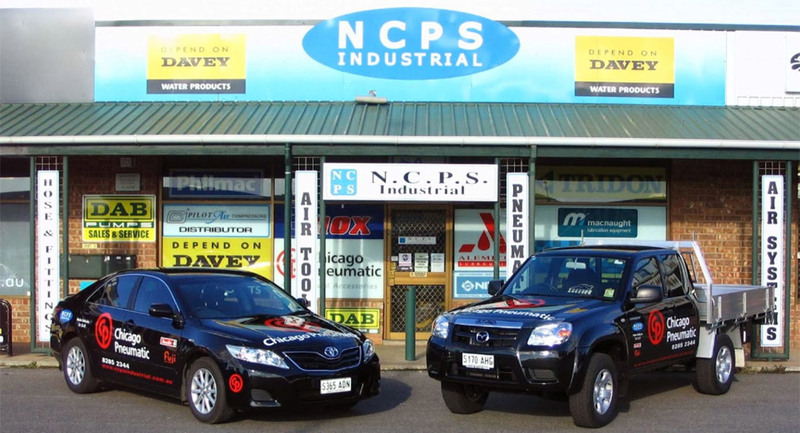 As a Master Dealer, NCPS has access to a vast range of Industrial and domestic products. The experienced and fully trained staff are on hand to help with enquiries having the store/showroom & workshop open Mon to Fri 8:00 am to 5:00 pm. (closed public holidays). NCPS Industrial always endeavors to deliver excellent service, quality products & good value. The mission of N.C.P.S. Industrial is to satisfy customer’s needs with dedication to the delivery of excellent service, quality products & good value. The company and its staff strive for extensive knowledge of their products to provide customers with accurate information and advice. The mission of N.C.P.S. Industrial is to satisfy our customers needs with dedication to the delivery of excellent service, quality products & good value. We strive for extensive knowledge of our products to provide our customers with accurate information and advice.